People in Eve Online take the game very seriously. There’s shifts depending on time zone, corporate espionage, wars that are waged based on when a company’s leaders are asleep, and now corruption and subsequent bans for them. While the idea of corruption is not new, the fact that it appears to be a U.S. politician at the other end of the ban this time around. Brian Schoeneman once ran for a seat in the Virginia house of delegates in the 37th district in 2011. Schoeneman was uncontested in the primary and ran as a Republican, though ultimately lost in general election. But more relevantly, Schoeneman was living an online life as Brisc Rubal, intergalactic member of Council of Stellar Management (CSM), an elected position from which he has now been ousted. 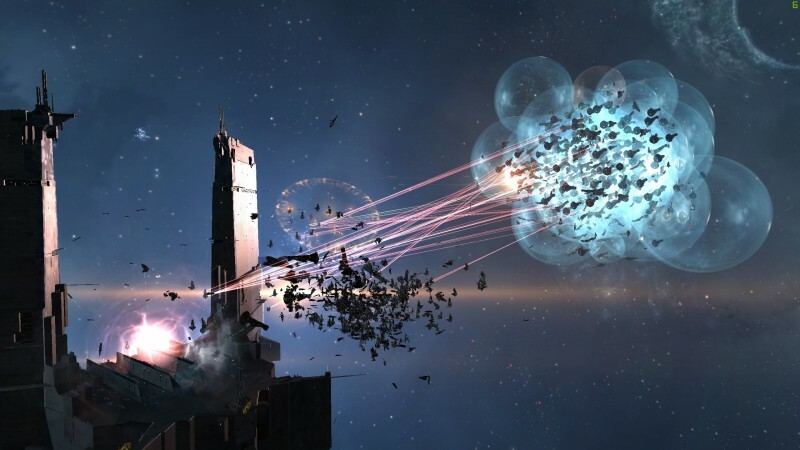 The news comes from an actual post from Eve Online developers CCP on their website, explaining that Rubal has been removed for various transgressions, like breaking a non-disclosure agreement and using insider information for in-game profit. Rubal, or Schoeneman, has been totally banned from the game and forced to forfeit all the ill-begotten currency, called Isk, that he made through the game. He will also be unable to ever run for CSM office in the game, but since he’s been banned, that feels like a moot point. Meanwhile on Reddit, which I feel like is the point where this entire story’s absurdity hit me at once, Schoeneman issued an official statement on the banning. He vehemently denies the accusation and seems to vow to fight it to overturn the ban.